Please optin on our email list to get announcemnts. Adult Karate is a great way to get in shape. You burn only 80 calories and hour watching TV. We burn a lot more than that in class and we have fun doing it while learning self defense. 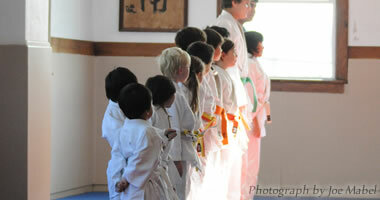 Children can start as early as 4 years for our Lil Dragon Classes and Big Kids start at 6 years old. They learn self confidence, motor skills, physical fitness, respect and much more. 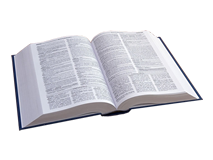 You'll find many accounts of the history of the martial arts in books, articles and on the web. Often they are biased in favor of the particular style of the author—for example some Tae Kwon Do histories claim that their art is "over 2000 years old." Although Korea has a long history of martial practice, as do other Asian nations, TKD is actually a style created in the 1950s after the Korean War. So, it is hard to piece together a truly accurate historical account because victorious societies and powerful organizations usually write their histories to put themselves in the best light. Still, we can try to present a simple picture of the development of the martial arts over the centuries. China is by most considered the birthplace of martial arts however; records are rare so determining this to be fact is relatively impossible. The most popular story centers on an Indian Buddhist monk named Bodhidharma (Daruma in Japanese) who is said to have traveled to China around 525 AD and began teaching a system of physical and mental exercises at the Shaolin Monastery. Over the decades many traveling monks followed his lead and introduced their own divisions of this original art into other countries further modifying the arts into today’s differing systems. Okinawa is actually a group of islands off the coast of Japan. Karate was born here in the 17th century from the influence of those Chinese monks. The fighting arts were originally known simply as "Okinawa Te," or "hand," but soon they became known as "China-hand" or "kara-te." Some of the Okinawan schools added use of farm implements as weapons since the government had outlawed use of swords and knives. So the sai, nunchaku and bo became part of the present Okinawan curriculum. Because Japan had occupied the islands for hundreds of years before finally annexing them in 1856, Karate had no doubt been taken to the Japanese mainland. However empty-hand and simple weapon fighting was considered lower-class by the highly trained samurai with their elaborate sword skills. About 1916 an Okinawan Karate teacher named Gichin Funakoshi traveled to Japan to demonstrate his art. It is said that he is the one who changed the translation of kara-te to "empty hand" in order to make the art more acceptable to the Japanese. His school became known as Shotokan and he awarded the very first karate black belts in 1922. Funakoshi is often credited as being the "father" of modern Karate. Today there are many styles of both Japanese and Okinawan Karate. Generally the Okinawan styles are softer and more traditional in their approach and the Japanese schools are more sport-oriented. As we said, the roots of Tae Kwon Do reach far back into ancient history. 1300 years ago the Hwa Rang warriors (young soldiers often compared to the Japanese Samurai) developed an unarmed fighting art known as Subak and later, Taekyon. The fighting arts eventually became less popular and at one point were actually banned and survived only by being practiced in secret. In 1910 Japan overran Korea and outlawed Korean customs and martial arts. Many Koreans left the country to try and find better conditions in China or even in Japan itself. They were exposed to other fighting arts such as Chinese Kung Fu and Japanese Ju-Jutsu and Karate. At the end of World War II Korea was liberated from the Japanese occupation by the USA and her Allies. Thousands came back home to openly practice both the traditional Korean systems and the other Asian styles creating many new martial arts schools throughout Korea. In 1955 the leading masters met to try and unify the many schools under one name. Korean army general Choi Hong Hi suggested the name Tae Kwon Do (the "way of kicking and punching") and it was eventually accepted by many Korean teachers. Some schools refused however and continued to practice under their previous names—most notably Tang Soo Do (the "way of the China hand in Korean). 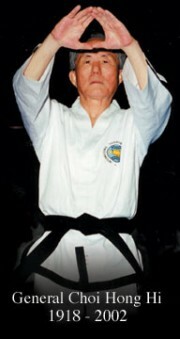 The late General Choi (pronounced chay) also made up the first Tae Kwon Do training patterns or hyungs (also known by the Japanese term, kata). In 1948, Robert Trias, a returning American serviceman who had studied Karate in Okinawa started the first Karate class in the USA in Phoenix, Arizona. In 1956, a South Korean named Jhoon Rhee arrived in Texas and introduced America to the Korean martial arts. He taught the aforementioned Tang Soo Do. But since no one in this country had ever heard of the Korean arts Mr. Rhee used the more popular name Karate. (This is one reason the Korean arts became known as "Korean Karate.") Mr. Rhee soon started using the term Tae Kwon Do and in 1962 moved to Washington D.C. where he still teaches and is recognized as the "Father of American Tae Kwon Do." Steen, Norris and the other pioneers of American Karate did what the Japanese and Koreans themselves had done only a few years before. They took bits and pieces of different styles and molded them into a uniquely American system of martial art. Not only were there different groups springing up in the USA in the 1960s and early '70s but in South Korea as well. General Choi's International TKD Federation (known as the ITF) was forced to leave South Korea by his political rivals. The World TKD Federation (WTF) replaced the ITF in South Korea and they devised a new set of training patterns to distinguish themselves from the old organization. Although the WTF is the group officially recognized by the South Korean government, many instructors in America do not belong to it. Through this government-sponsored organization Tae Kwon Do has been included as a permanent event in the 2000 Olympics. To make Tae Kwon Do different from Karate, the South Korean/Olympic-style (often referred to as "kuki taekwondo" has de-emphasized hand techniques to feature kicks — especially head-high kicks. In fact punches to the head are not allowed in Olympic Tae Kwon Do. Most American stylists however, prefer a more balanced and realistic approach with an equal combination of hands and feet. 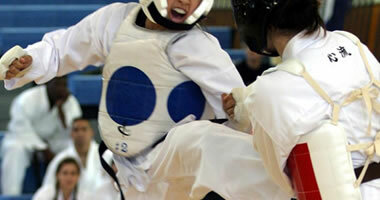 In fact, American "open" tournament rules allow for hand and foot strikes to all target areas. Americans often just call their approach "American Karate" whether they come from a Chinese, Okinawan, Japanese or Korean background. While it is confusing to have so many different kinds of Karate and Tae Kwon Do it does promote new ideas and philosophies as all of the martial arts continue to develop both in America as well as back in Asia. Texas Karate Do specifically comes from General Choi’s ITF branch off of modern Karate, meaning that our kata’s (forms in English) are traditional ITF or Tae Kwon Do forms. However, in keeping with the tradition of the ever evolving martial arts styles our school has also developed its own version of American Karate. We incorporate Kenpo, Tae Kwon Do, Judo, Hapkido, and various other arts into our style in order to create our own version of American Karate. We like many American Schools however, are still very proud of our deep and distinct roots in General Choi’s Tae Kwon Do. "Pain is the best instructor but no one wants to go to his class." Yates, Keith D. Complete Guide to American Karate & Tae Kwon Do. Berkeley: Blue Snake Books, 2008. Print. Visit BlackBeltShop for all of your supply needs. Sparring Gear Sets at $70.00.. Copyright 2017.TexasKarateDo. All Rights Reserved.